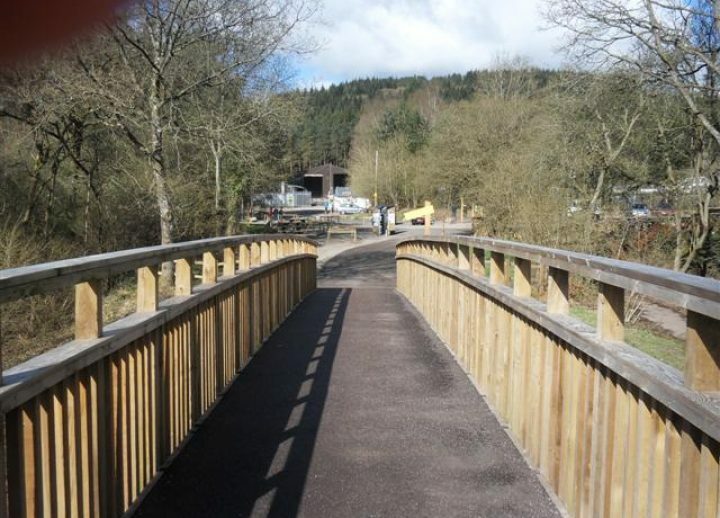 Cannop Cycle Centre, run by the Forestry Commission, is located on the site of an old colliery in the Forest of Dean. 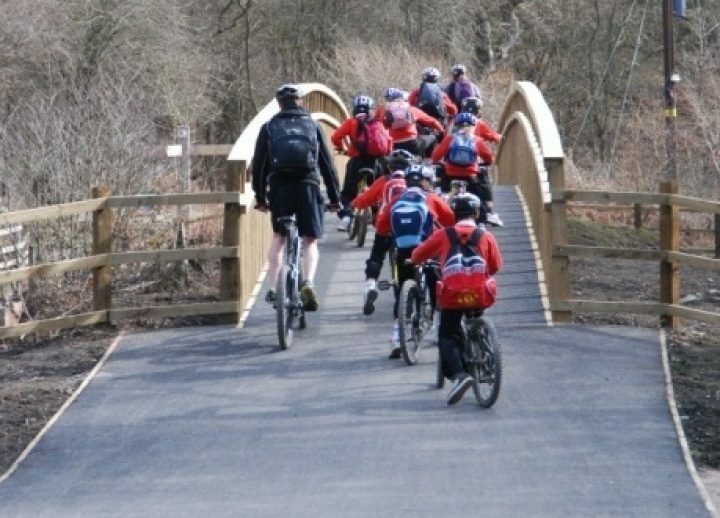 The Cycle Centre consists of eleven miles of waymarked, surfaced tracks with the main route crossing the busy B4234 road. 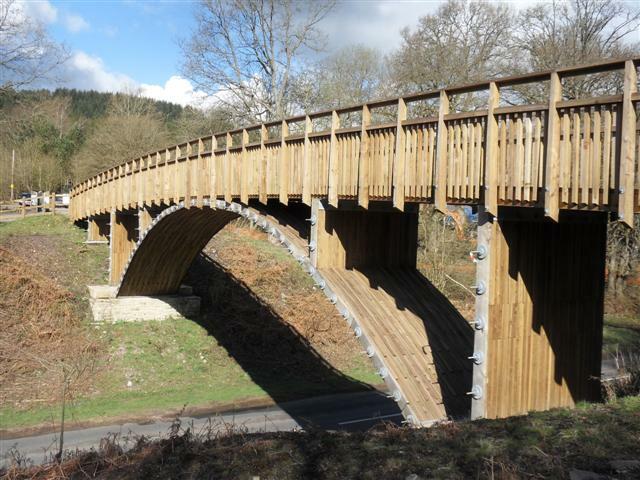 To improve the safety of cyclists Griffiths were appointed to construct a 40m, screw-laminated, timber arch cyclebridge crossing the highway. 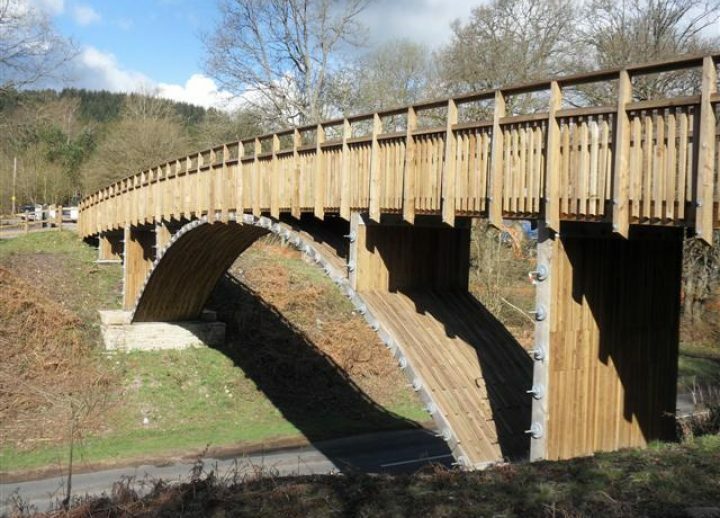 The new bridge makes use of the existing footings of the old branch line railway bridge but also required the construction of two further abutments in order to support the screw-laminated arch. Piling works were undertaken for the new foundations with new concrete pile-caps cast including arch springings and bankseats. 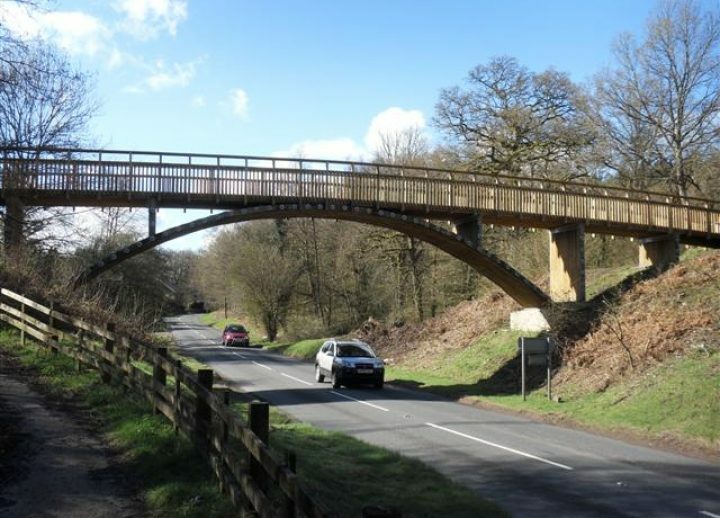 Scaffolding was erected over the highway to allow for the construction of the laminated timber arch with two-way traffic maintained throughout. Once the arch and wall panels had been assembled initial stress was applied to the bars. The timber deck, including handrails, was prefabricated offsite and lifted into position utilising a 20 tonne crane. A water repellent wax coating was then applied to the arch top surface and bitmac surfacing to the deck. Improvement works were then undertaken to the footpaths on the approaches to either side of the bridge including soft landscaping, edgings and surfacing. All works were undertaken with the Cycle Centre remaining open to the public and two-way traffic maintained along the B4234 New Road. 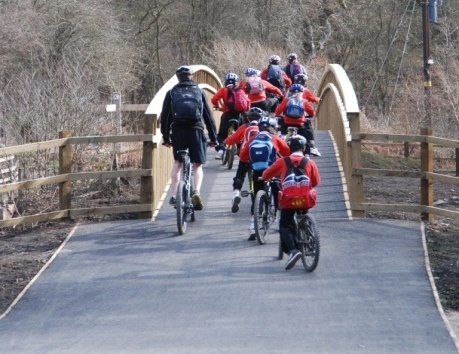 Furthermore, the works were in close proximity to a Gloucestershire Highways Depot and a Cycle Hire Shop and a Community Liaison Plan was implemented. 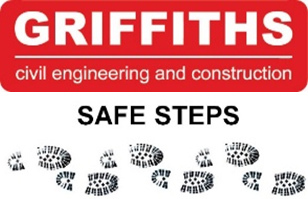 News Bulletins were distributed, which along with a site notice board, ensured all businesses and visitors were kept well informed of the works, traffic and pedestrian management and our progress. 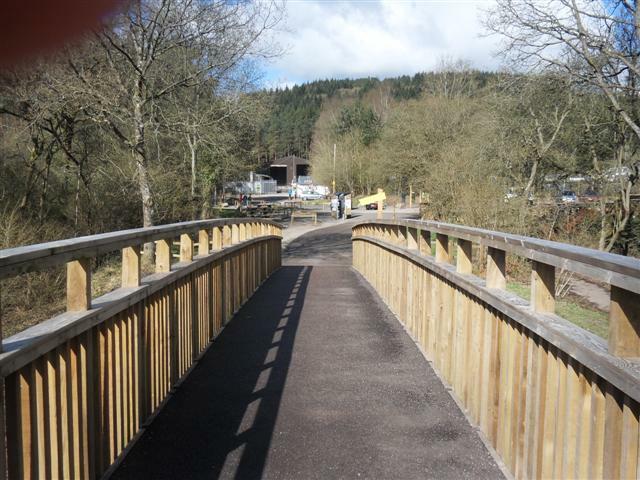 The newly named ‘Wimberry Bridge’ at Cannop Cycle Centre in the Forest of Dean officially opened on Tuesday 20 March and now makes a huge difference to users of the Family Cycle Trail, who no longer need to cross the busy road from the car park to the trailhead and skills area.